It’s a masquerade. Hide behind a layer of Passion Fruit while it sooths and conditions your skin. Rich in Vitamins A, B & C, Guava extract helps prevent oxidation of delicate skin cells while Lactic acids and milk proteins encourage new cell regeneration. 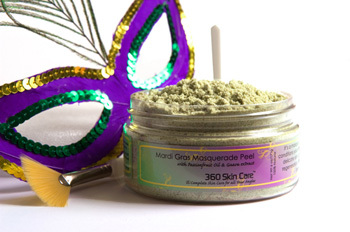 Relax and melt away the old you and reveal the new person behind the masque. Paint brush and instructions included. Devised for use on all skin types.